© 2016 ECCENTRIC All Rights Reserved. FEATURE EXPANDED: European Art Film Strategies is a training program specifically designed to provide knowledge, methodologies and skills necessary for filmmakers with a background in visual arts to develop and produce feature films. Feature Expanded is directed by Leonardo Bigazzi (Lo schermo dell’arte Film Festival) and Professor Sarah Perks (HOME). 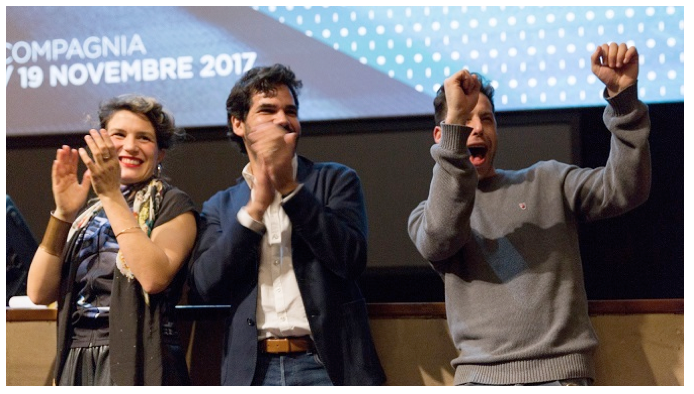 15 – 19 November 2017, Lo schermo dell’arte, Florence. For more information on the program please click here. For more information on Axel Straschnoy please click here. Camilla Alberti finalista del STATES OF MIND PRIZE, inaugurazione 1 febbraio Palazzo Valmarana Braga, Vicenza. Stakeholders dialogue. Human and Plants, installazione di Camilla Alberti e Simona Cioce presso The Swamp Pavilion, Biennale di Architettura di Venezia 2018. © 2016 ECCENTRIC Art & Research All Rights Reserved.